Patience is not one of my virtues. At the best of times, I can do what needs to be done, but for as long as I can remember I have not been really great with delayed gratification. This was not the best of character flaws to have when going into Sekiro: Shadows Die Twice, a game of patient sword fighting and stealth. In Sekiro: Shadows Die Twice, you take control ‘Wolf’, a Shinobi who has taken an oath to protect a young master of high birth. After a short tutorial, something previously unheard of in titles by From Software, you find yourself in a beautiful vista standing off with a classic unwinnable boss fight, and then wham, bam, your arm got sliced off, damn. This begins a tale of amnesia and duty, and an even more interesting world to explore. More than the world and the story, the combat is what drew me into Sekiro and the games of its ilk. The combat walks the line between frustrating and rewardingly challenging. I started off perplexed and challenged, It took me a serious amount of time for it to really ‘click’ with me, but once it did, I couldn't get enough. In games like this, I generally steer towards an exceedingly defensive approach or one of all-out aggression, and neither of these worked in Sekiro, something I had to learn for myself after repeated hours of my own demise. The element that finally made the precise nature of the parrying and deflecting-based combat was once I started using my ears and playing it like a rhythm game more than a third-person action game. Timing is the name of the game when it comes to mastering the combat, and the key to my approach was about timing and sound. I have loved rhythm games since my first time trying DDR at my friend’s arcade Bar Mitzvah, and being able to incorporate my love of rhythm games and music into a third-person action game was a treat. 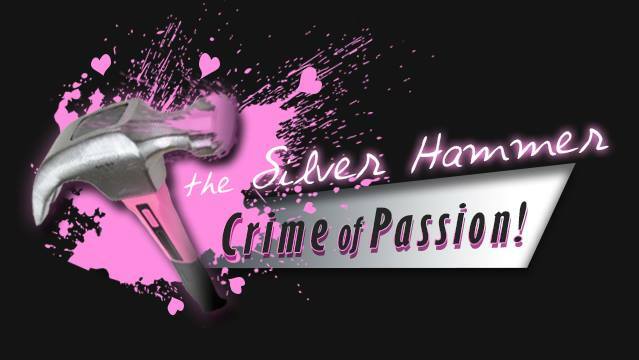 To help you with the combat are a slew of tools attached to your newly-fitted prosthetic arm. These tools, and their subsequent upgrade tree, add a little amount of customization to how you choose to engage in combat; a nice touch when considering the lack of a traditional RPG leveling system or equipment. There are many moments of beauty among the bloodshed. I am glad it did click with me because I fell in love with the satisfying flow of the action, but I couldn't help but think how they could have made the early game different so players could get to that ‘click’ moment sooner. 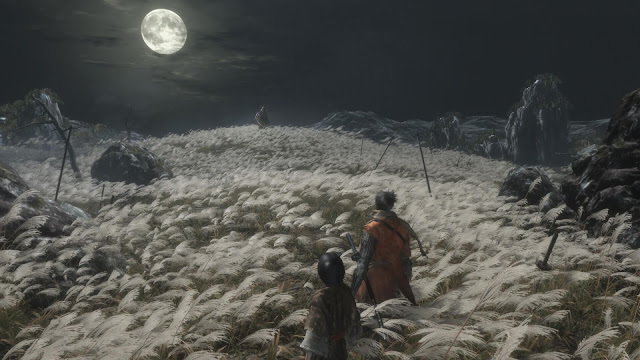 I am of the opinion that they should have added a wider variety of challenging enemies in Sekiro’s earliest levels. I think this would have turned some folks off, as its difficulty already has in its shipping state, but I think for the people willing to stick it out and learn, the blocking mechanic could have solidified earlier in the game and made some of those early-game bosses to be less harrowing experiences. With the combat being as good as it is, it is easy at times to forget that Sekiro still is inherently a stealth-first game. While it doesn't go to the extremes of hiding bodies or putting on disguises, keeping stealth in mind made segments of the game much more approachable. There were a few instances throughout Sekiro where I was being my impatient self and trying to run through and it was quick to punish me for it. After taking a step back, planning a route, and taking advantage of my shinobi skills, challenging areas can be deconstructed into a satisfying pattern of silent assassinations and quick bouts of combat. This is aided by the first prosthetic tool, and core mechanic of the game, a grappling hook that allows you to reach trees and rooftops. This didn't come into play in many of the challenging boss fights, but it did make for a satisfying flow to the movement through the game and fun opportunities to engage in stealth kills and quick getaways when you get in too deep. Mastering this process of hiding, ambushing, and dealing with the combative consequences was what kept me going, even though difficult bits of dying. And dying. And dying some more. As every reviewer and internet jokester has already stated, despite the title, you will die many more times than twice. Knowing this, Sekrio took a different approach to death punishment: one a bit more punishing and appropriate for the ‘resurrective’ nature of Wolf. A system is introduced early on that has your untimely deaths have a greater effect on the world, in addition to the lost experience and money. This punishment for death is severe, and this is where Sekiro commits a cardinal game design sin. 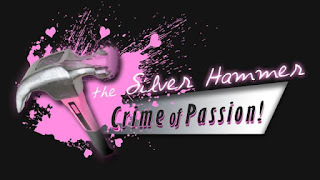 I won’t get into specifics to how it relates to the plot, but this punishment is harrowing, both mechanically and on the feelings of the player, and where it does wrong is how pushing it is relative to how early in the game the player is. Even if a player has previous genre experience, a player is never going to be worse at a game than when they first start. 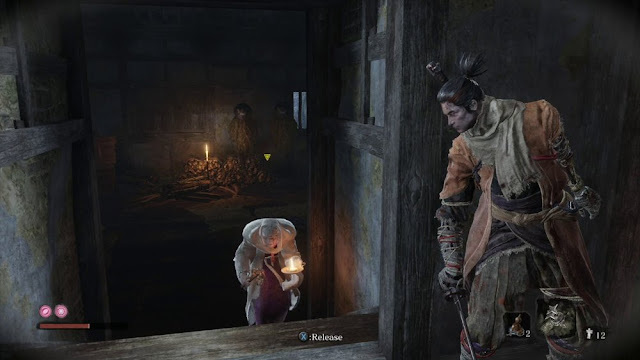 By introducing a serious death penalty to players when they are at their greenest, and subsequently not introducing the mechanic that counteracts this until later in the game, Sekiro is giving a bad first impression to a new player. I was able to power through the early punishing bits by ignoring the story implications of said punishments and get access to the MacGuffin to combat it. The whole system was simply a disappointment. Early in the game, it came on strong enough to turn players off, and after a little progression, it became a complete non-issue as I gotten better at the game and had access to the means of combating it. I think it was a neat idea to mix up the old-fashioned corpse run mechanic, but it was flawed in execution. Stealth is important when trying to avoid those pesky old ladies. Unlike mechanics and combat, the story in Sekiro is more straightforward. The story starts off strong but I really lost the thread on it after a while. I believe this was intentional considering how many twists and turns the story made by the end. With the tone of the main character and the Japanese voice work, it has the vibe of a brooding old samurai movie, something that I don't think many games have succeeded in doing. It still has the signature dower tone that From Software is known for creating, but it does so with much less obscurity and reliance on player interpretation. There are still tidbits from the environment and reading notes from items and NPCs that adds some nuance, but it was a nice change to have a little exposition and story-telling right from the main character’s mouths. The dialog and exposition also assist in the pacing of the game, but it similarly didn’t keep up throughout the entire experience. The pacing of the endgame was not great, a lot of bosses in a row with only really one big area to break it up. I do question how the pace might have felt different for me as someone who walked right past a large mid-game boss fight and went on quite a few branches of exploration before circling back to take them on. I am glad Sekiro gave the opportunity to do so, especially considering the first several hours of the game seemed mostly linear. What did keep up start to finish was the sound design. The boss fights have orchestral pieces featuring traditional Japanese instrumentation that set the tone of tension perfectly. There is a large variety of ambient area music, something that From Software has only done sparingly in the past, and it is a welcomed change. There is a lot of contrast in the different areas of the game; a wide variety of colors and layouts, and having musical tones of beauty or unease respectively made for a more memorable and varied experience when exploring a new area. It’s not all mixed choirs singing Latin stuck on fortissimo over screeching violins, there is a subtlety and pleasantness in the pieces. It creates a nice contrast of serenity when in areas with temples and waterfalls; a nice change of pace considering the challenge and intensity of the moment-to-moment action in itself. I came into Sekiro thinking I was going to enjoy it as someone who has enjoyed all of the ‘Soulsborne’ games, and enjoy it I did. It is a damn fine video game, but more importantly, I think it sets an exciting precedent for From Software for the future. I am going to go back and clean up more of the optional bosses and try to get a better handle on the story, but I am pleased with the scope and don’t feel like Sekiro needed the deep RPG mechanics and replayability of its predecessors. It’s a talented team and with Miyazaki’s vision, I will be counting down the days with bated breath for the next From Software masterpiece.